High quality leather look luggage set. 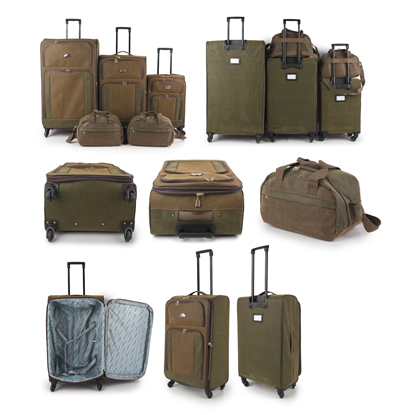 Five piece set comprising 35, 29 and cabin sized 22inch trolley cases plus 2 cabin sized holdalls. Cases have four multidirectional spinners. Internal trolley frames, toughened lockable zippers, rear address tabs, twin front pockets, top and side grab handles, fully lined and packing restraints. Two larger cases are 25 percent expandable.